It is so low investment you can enjoy solid results without breaking the bank! Contents will be 100% readable & unique. My PBN domains are spam free. If you have any question about the service. please inbox me. 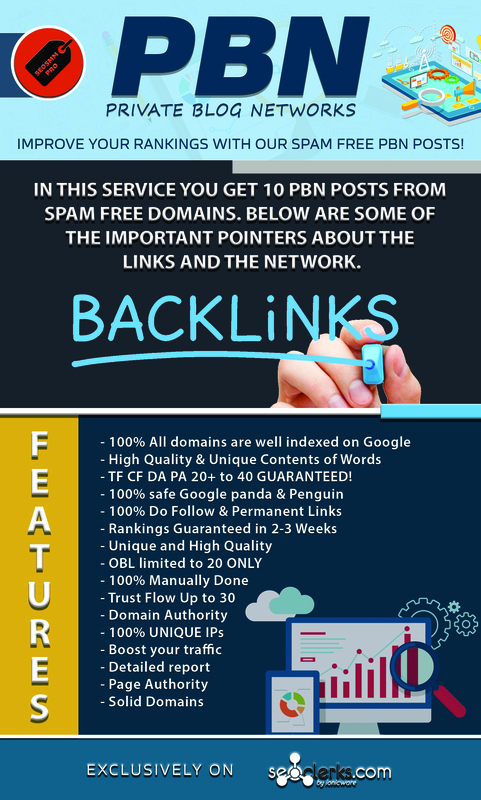 Do 10 High Quality Spam Free PBN Posts SEO Dofollow Backlink is ranked 5 out of 5. Based on 10 user reviews.